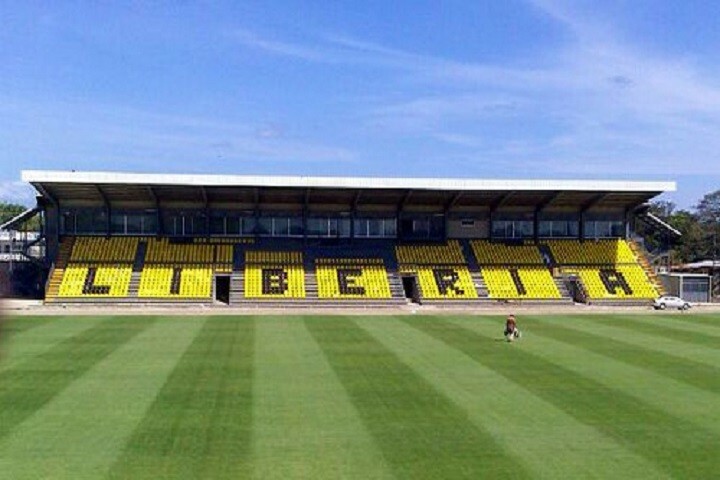 The new infrastructure of the Edgardo Baltodano Stadium at Liberia Guanancaste. Has become this stadium in one of the best ones in Costa Rica. After the FIFA’s World Cup wish the stadium at Liberia was one of the home sites. Significantly the infrastructure after the World Cup at Liberia is starting to accomplish his mission witch is being a promoter of the physical activity in the town. Already have done different games with a very positive balance as assistance. After the world cup in Costa Rica, Liberia has an stadium with 3800 people capacity, numbered seats, a big administrative building, a comfortable press area, a high category soccer field, and a really good lighting. At Liberia we are really proud of this symbol of sports at the town.